When I recently moved back to Mississippi after a decade in Vermont, the sudden change in climate brought with it both bronchitis and a sinus infection. I found myself in an unenviable position. What was I to do? My primary care physician was back in Vermont. I’d not had time to find a new one in Mississippi yet. My only recourse was to make use of an urgent care clinic. Being from a family that has a history of health issues, I have found this to be true. My primary care physician was willing to say, “You know, we need to do something about this weight.” While any doctor could look at me and say that, my primary care physician was able to schedule time with a nutritionist who shared an office with the practice and she was able to set up a free month at the gym for me. The end result was an exercise habit that has already led to losing six inches from around my middle. Dr. Johnston further says, “I cannot imagine what it would be like to not know my patients beyond that superficial medical level. I believe that it is so rewarding for doctor and patient to build that deep level of trust, and often… friendship, so that a doctor’s visit doesn’t have to be so impersonal and businesslike.” When we develop that trust and friendship, looking out for our health can become less of a chore and even something we actually are eager to do. Our primary care physician becomes a partner in keeping us healthy instead of just a service provider. 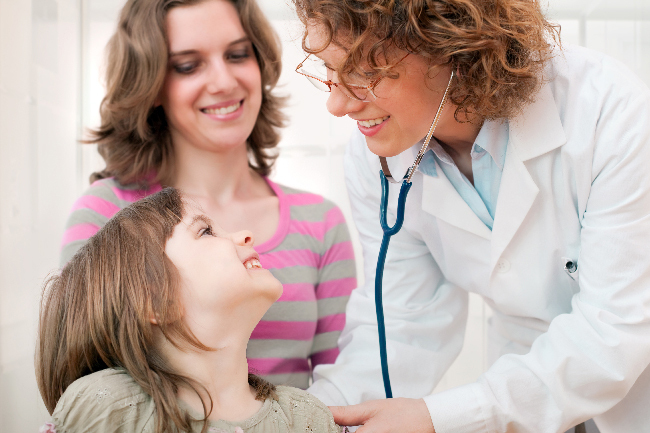 Having a primary care physician is even more important when we have children we are mentoring. They learn to take responsibility for their health by watching us take care of ours, and theirs. Demonstrating the relationship that they should have with their primary care physician will give them one fundamental tool they need to maintain their own health as it becomes their responsibility.